In recent years, zero emission vehicles and hybrids have become quite important for the auto industry. Several automakers have begun to develop electric vehicles in order to comply with stricter emissions regulations and play a larger role in the clean transportation space. For the most part, automakers have been focusing on conventional electric vehicles, which are powered by lithium-ion batteries. Despite this, however, more companies are beginning to focus on the development of vehicles equipped with hydrogen fuel cells. In 2014, approximately 16.5 million new vehicles were sold in the United States, representing one of the best sales years for the auto industry since 2006. Of these, only 120,000 were electric vehicles, accounting for less than 1% of all sales. According to the Electric Drive Transportation Association, approximately 340,000 electric vehicles have been sold throughout the country since 2011. Conventional electric vehicles remain a dominant force in the clean transportation market, but fuel cell vehicles may become more prominent within the auto industry. 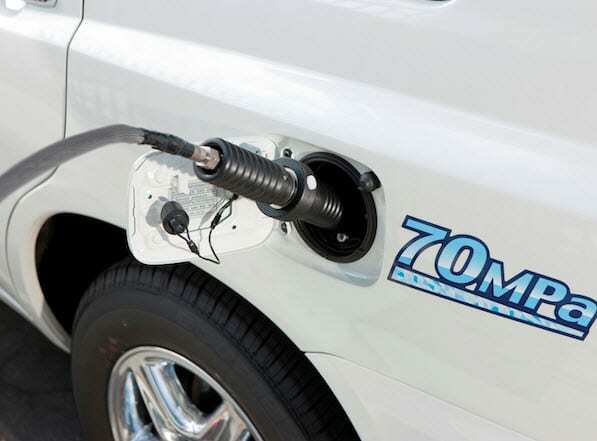 Fuel cell vehicles have yet to see widespread commercial release, with the automakers developing these vehicles opting for limited launch in order to gauge interest among consumers and expose them to the capabilities of hydrogen fuel cells. There are far more automakers focusing on the development of battery electrics, but the few companies that are focusing on hydrogen fuel cells are becoming more aggressive. These automakers are investing heavily in the development of new fuel cell technology and the establishment of a comprehensive hydrogen fuel infrastructure. Fuel cell vehicles may soon receive more attention from other automakers, especially as companies begin to share their knowledge about these energy systems. Toyota recently released some 6,000 fuel cell patents, free of licensing costs. This will provide the overall auto industry with some insight into how fuel cell technology works, which may affect their interests in fuel cell vehicles and clean transportation overall.